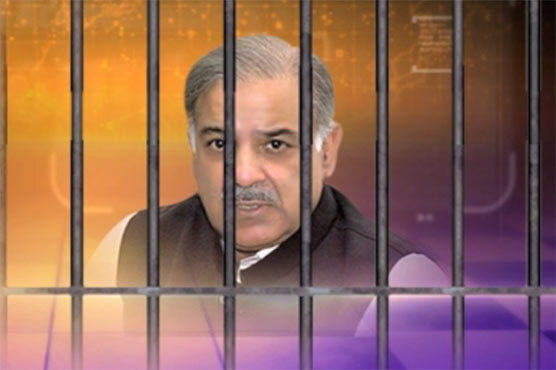 The National Accountability Bureau (NAB), Lahore, arrested the leader of opposition leader Shahbaz Sharif in the former Chief Minister Punjab and National Assembl opposition leader in Ashiana Housing scam case, Shahbaz Sharif went to record NAB’s statement in the Clean Water Company scandal, The physical remand will be obtained by presenting the Lahore Accountability Court on Saturday (today) NAB has informed about the arrest of Shahbaz Sharif’s national speaker Asad Caesar, after the arrest of Shahbaz Sharif’s NAB medical examination in Lahore the doctors team checked the blood pressure and sugar level check-in as well as other necessary tests expert law, Amjad Pervaiz, was appointed a lawyer of Shahbaz Sharif, under the possible protest, NAB office security was tightened and heavy rifles of Rangers were deployed. Apart from this, NAB summoned former Federal Minister for Railways Khawaja Saad Rafiq and his brother former provincial minister Khawaja Salman Rafique on October 16. The names of both people were added to the Exit Control List. According to the sources, NAB Lahore has asked Khawaja Saad Rafiq and his brother Khawaja Salman Rafiq on Tuesday 16th October in Paragon Housing Society scandal. The National Accountability Bureau directed all the documents and mini trails to come. According to NAB sources, Shahbaz Sharif went to record NAB’s statement in the Clean Water Company scandal his statement was also recorded in the Clean Water Company scandal, according to sources, when Shahbaz Sharif appeared before the investigation team, he was told that you have been arrested. Sources say that NAB had demanded the former Chief Minister Punjab at 11 am while he reached the office of NAB Lahore on 3:00 pm, after reaching the NAB office of Shahbaz Sharif; NAB officials closed the central gate of NAB headquarters. And Nail employees, including Sylen, were not allowed to enter the office Shahbaz Sharif’s counsel Amjad Pervaiz has said that it is to be seen whether the Speaker has been allowed to arrest Shahbaz Sharif or not, let’s see the request of the reminder let NAB charge.